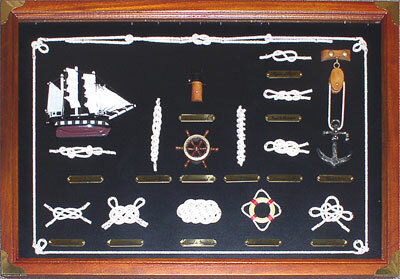 Shadowbox, Knotboard, 23 in. W x 16 in. H Gorgeous in every way. Handcrafted from solid wood, brass, line and light canvas. These are built for us one at a time by a small craft house in China. They are worth far more than we charge but you are buying direct. 95% of our orders ship within 3-5 business days plus a few days transit. This makes a great gift. This shadowbox knotboard is handcrafted from solid wood, brass, line and light canvas. Measures 23" W x 16"